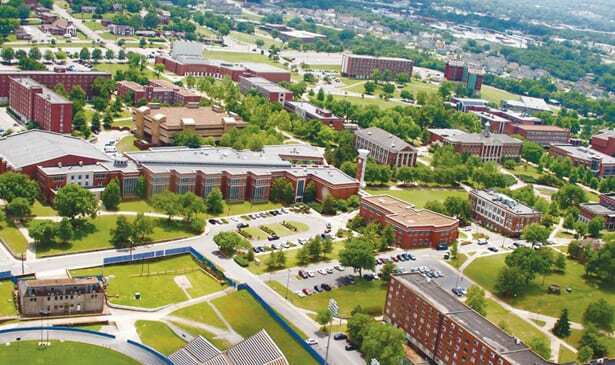 Aerial view of Tennessee State University in Nashville. Three Nashville institutions of higher learning –The Meharry Medical College, Vanderbilt University and Lipscomb University –this month had their accreditation reaffirmed for 10 years by the Southern Association of Colleges and Schools (SASCOC), the major academic body in the South that sets higher education standards. A SASCOC reaffirmation is a declaration of a clean bill of health for an academic institution based on 98 criteria of condition. It is is equal to getting an automobile driver’s license awarded with no restrictions or conditions. It follows month of internal study by teams of staffers throughout an institution. Like a driver’s license holder, colleges and universities have to apply and pass the affirmation test flawlessly every 10 years or risk deferral on affirmation and myriad potential troubles getting students, staffers and financial backers. Affirmation by SACSCOC, considered a gold seal of recognition in higher education, is designed to assure students, parents, public, private and corporate funders about the viability of an institution. It’s dozens of performance criteria run the gamut of measures from financial standards and accountability, academic services and performance to grounds maintenance and safety. 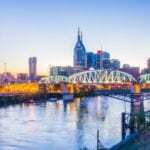 The three Nashville institutions spent months preparing pages of documentation supporting their scheduled request for SACSCOC reaffirmation. “Earning reaffirmation is the direct result of years of hard work by many people on campus and a reflection of our effectiveness in preparing our graduates for lives of faith, exceptional leadership and service,” said L. Randolph Lowry, Lipscomb University president. His overall sentiments echoed statements by Meharry and Vanderbilt leaders about the level of work involved in seeking affirmation and the value of getting it without conditions. “Being reaffirmed with no recommendations is about as good of a report as an you can have, and it reflects the tremendous quality of our institution,” Lowry said. He said he felt this month’s reaffirmation was “significant” in light of the institution earning the same gold seal approval 10 years ago without exceptions. “That’s extremely unusual…” said Lowry. “Affirmation is extremely important for all levels of involvement,” said Patrick Johnson, senior vice president of institutional development at Meharry,” echoing higher education peers who have worked on reaffirmation responsibilities at their respective institutions. For Meharry, more than a century old and still one of the country’s most noted medical institutions, the SACS decision substantiates the overall capacity of the institution as it experiences increasingly intense competition for students, stature and public and private money. “A lot of our sister HBCU’s (Historically Black Colleges and Universities) have continued to struggle,” Johnson said. The SACSCOC decision sends a “strong signal” that Meharry, a stand-alone independent institution, continues to function as a viable institution. In a state with more than 90 two and four year institutions, those competitive numbers are important for Meharry to show it one of the state’s banner institutions, Johnson said. The SACSCOC move sends “a huge signal” to current and potential donors, he said, giving the institution more spark to solicit funds. He noted Meharry has more than doubled its endowment in the past 20 years to more than $100 million. SACSCOC did not consider Meharry’s challenges with the city’s General Hospital. It is a separate issue, Johnson said, noting Meharry demonstrated it has in tact sufficient partnerships with medical programs around the country to train its medical and dental students. The proposed partnership between Meharry and the Hospital Corporation of America also was not an issue SACSCOC considered in making its affirmation decision. Dawn Turton, senior assistant provost for faculty and strategic affairs at Vanderbilt and the institution’s SACS liaison said Vanderbilt had been working on its reaffirmation presentation for several years, having submitted its initial compliance report in September 2016. A compliance visitation committee, comprised of senior peers from other universities, made a formal site visit to the university earlier this year. The outcome of this process came last week in Dallas at the SACSCOC fall board meeting. The panel of several dozen people reviews the findings and recommendations of the site visit committee and other documents and hears from university officials, if needed. Then, a decision is made to affirm an institution’s standing in compliance with the 98 standards or withholds full affirmation for one or any number of compliance shortcomings. In such cases, SACSCOC places an institution through any number of hoops. “Vanderbilt’s successful completion of its reaffirmation is due to the efforts of many people and the collaborative spirit that distinguishes us as an institution,” Turton said in a statement touting the SACSCOC affirmation. SACSCOC issued its decision in Dallas last week as it ended its semi-annual meeting for 2017. During the four-day meeting, the panel issued more than 150 decisions involving standings of large and small, public and private institutions across the South. Several institutions were placed on “warning” or “probation” status by the SACSCOC board amid a largely favorable series of decisions.